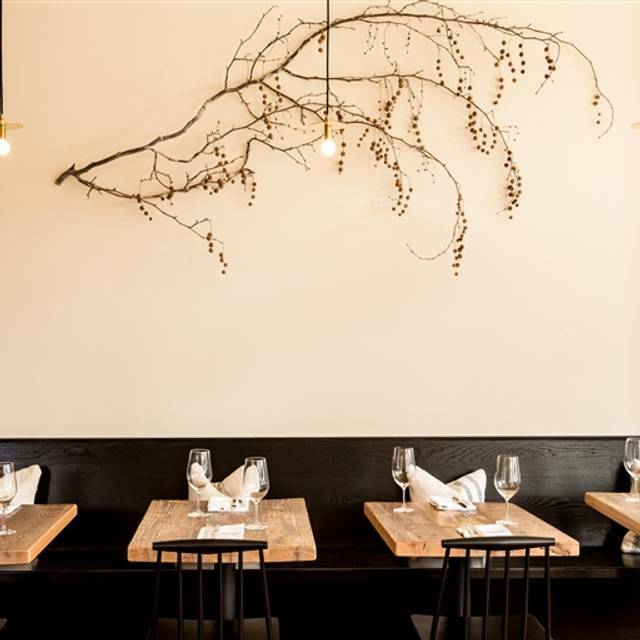 You must make reservations at least 5 minutes in advance of the time at Octavia. There is street parking available around the restaurant. We do not have valet parking. The closest parking garage is located at Japantown Center- about a ten minute walk away. 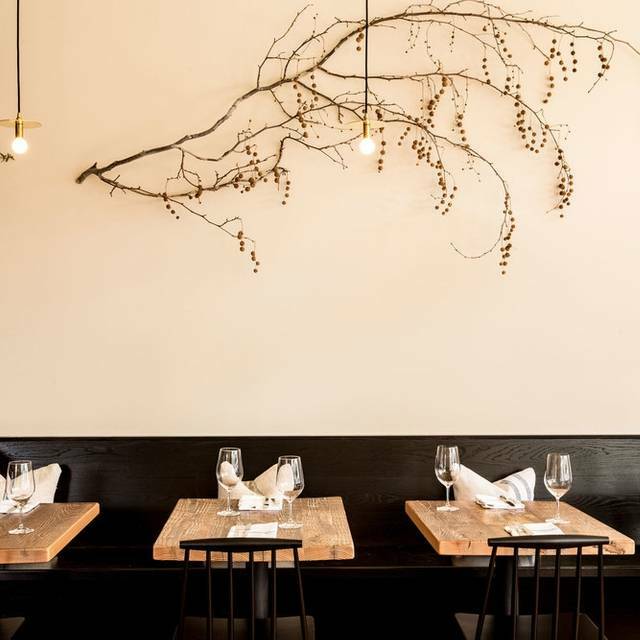 Octavia is the newest restaurant and follow up to Frances, helmed by award-winning Executive Chef Melissa Perello. 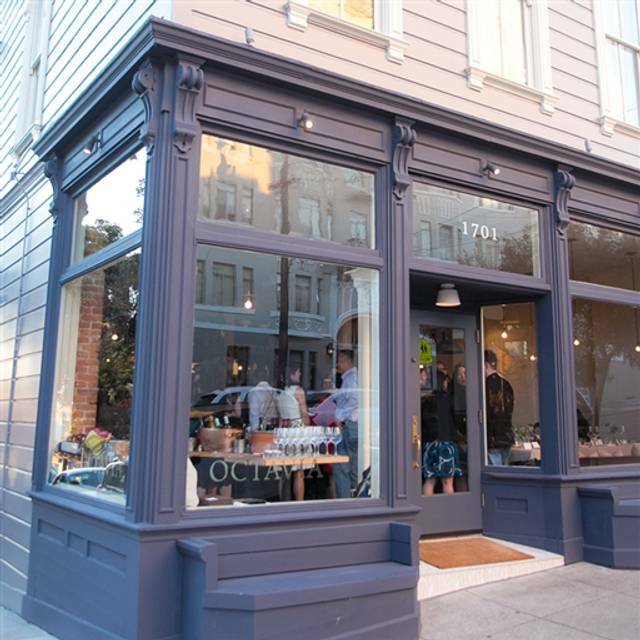 Octavia serves dinner seven nights a week in a sophisticated, elegant and relaxed neighborhood setting. 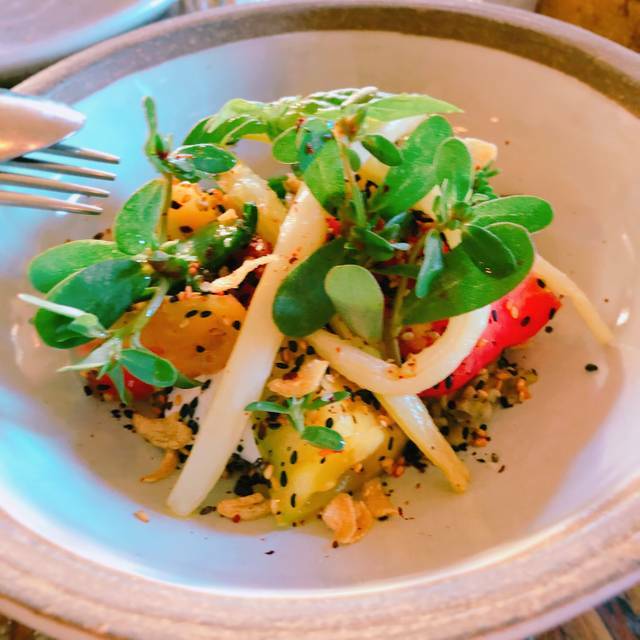 Beautifully defined flavors and seasonally driven cuisine are the cornerstones of Octavia’s menu. Leveraging her longstanding relationships with the region’s top purveyors and farms, Chef Perello’s daily evolving selections spotlight her commitment to sustainability and the Bay Area’s wealth of agricultural resources. Outstanding - our best meal in San Francisco on our 4 day trip!! It was a dining experience. Excellent dinner for a reasonable price. Went on a Saturday evening. We were greeted warmly into a modern yet cozy restaurant. Service was prompt and friendly, each dish was beautifully presented and perfectly seasoned, desserts were scrumptious. Our group of 4 enjoyed the experience of food at a high-level in a non-pretentious environment. Highly recommend. Wow, food was excellent. Bread was to die for. Tasting menu price is very reasonable, loved the shared aspect. Worth it. Pretty poor experience. We decided to do the tasting menu and it took 2.5 hours for entrees. We had to leave and didn’t eat the main course or dessert. Not to mention, when we walked in and asked for a table in the corner, we were told it’s reserved. Ironically a few friends walked in and were sat there. Wouldn’t recommend this place. Service was very underwhelming. Brought own bottle of wine, wine was not once being re-poured - normally don't care but this is a Michelin star place. Was told there was one last steak left, we ordered it. But somehow a table across from us came 30 mins after, was able to get another "last steak". There are other ways to up-sell the steak without lying and cover blown lol. Not sure what the hype is with their deviled eggs- anyone with sou vide and chili flakes might be able to duplicate something similar. The best items were beef tartar, oysters and the soup! I'd like to try the chef's menu $70/ 10 course next time, but really would have to be convinced. The food was good but not impressed. The small bites were just okay. Regular size appetizer and main dishes were good on the other hand. Service was at top notch and the ambience is cozy. 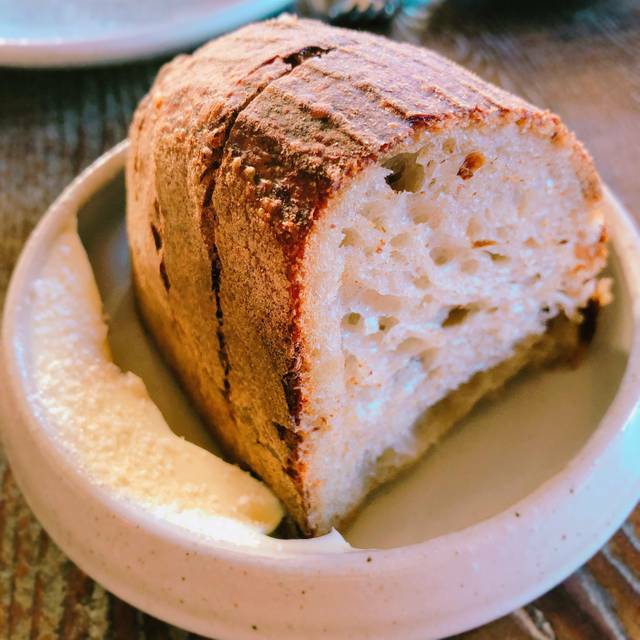 Close quarters in Octavia mean you are practically sitting in a stranger's lap, and the deafening roar of the conversations swirling around you mean you are going to be shouting across a very small table at your dining companion. The food is ok, and with the exception of the roast artichoke salad, not very inspired. One and done. Very low key restaurant with great food and wine. There was 4 of us that went there for my moms bday and did the family style share courses that were all delish and the meal had good cadence. Would highly recommend! We were seated immediately upon arrived. Service was great at the beginning. We order the Chef's choice all was a great valve, except we all wish the pasta and Risotto was less salty. We opted for the chef’s tasting menu which was amazing, and a great value as well. We were able to enjoy so many dishes, each one was delicious. They put unique twists on the classic dishes! The wine pairing was also fantastic. We enjoyed Octavia very much. We’ll definitely be back and recommending it to friends. Everything is really sour. The duck leg was great but the super sour sauce ruined the taste. Service is good. Perfect service, perfect food and perfect wine pairing to the tasting menu. Lovely restaurant and amazing food. The tasting menu is definitely the way to go! 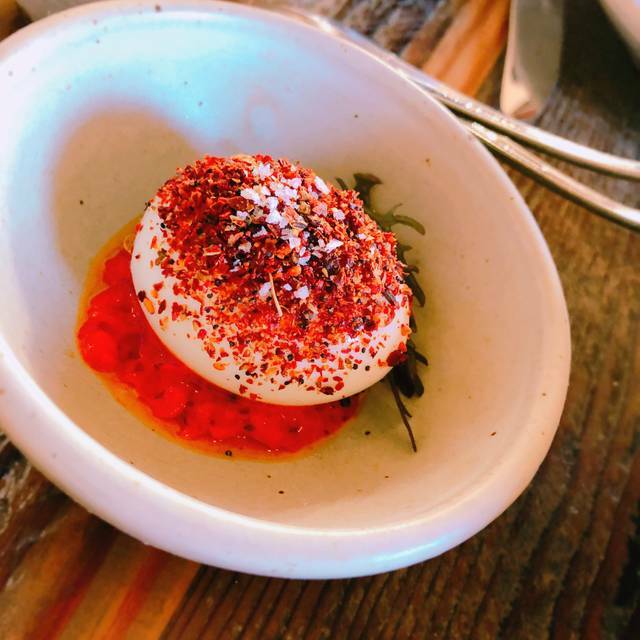 Hands down the best egg we have ever eaten and the meyer lemon parfait desert was incredible! We had the tasting menu which was fun to let them surprise us. Other highlights included the panna cotta salad and the wagyu with artichoke. We felt welcomed, the meal was well paced, and we never felt rushed. We would definitely come again and recommend to friends. The food here is to die for. We over ordered because it’s a small kitchen and they make you put everything in at once. The portions are bigger than expected. Order the risotto, you won’t be disappointed. Be prepared to wait in line for the bathroom, they only have one. One of my current favorites in the city. The food is excellent (and sometimes extraordinary). The service people are lovely and attentive. And it is quiet enough to have an intimate conversation. My daughter and I both enjoyed it immensely and we are both "foodies". If no one has any special dietary requirements (one of us does), I would suggest the tasting menu. I had that once with another group and it was just amazing (you get to try a lot of their menu). Also, they have wonderful bread. You can buy a loaf and take it with you. The Little Gems was fantastic; very satisfying! Prices reasonable for SF. fantastic meal, excellent service, lovely ambiance, and perfect lighting (i’m a stickler for great lighting!). can’t wait to return! Great, fresh, vibrant food! Great attentive service! 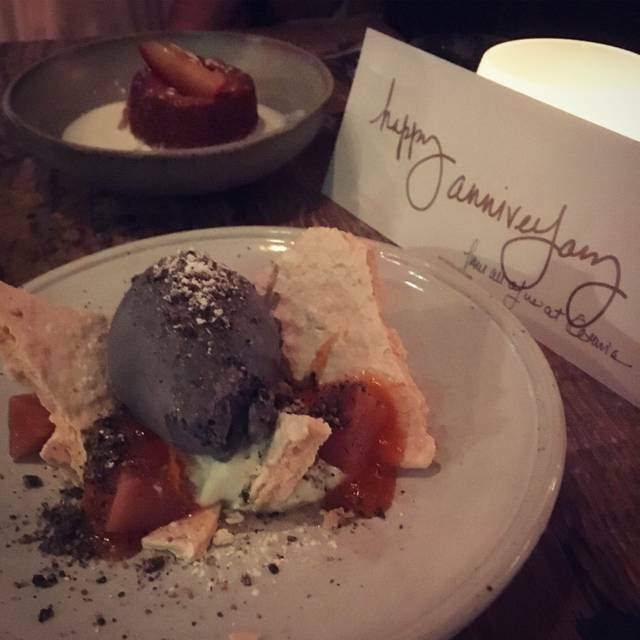 Booked a last-minute reservation stating it was our anniversary and the plating also had a congratulatory card along with complimentary ice cream bites with candles attached! Definitely coming back! It was fine. Gave me beer in a can. Yes in a can. Haha. Oh well. I guess the Waygu was ok. Nothing to rave about. I had not been there for a couple of years. I love Michelle"s food; attention to detail! This is a must place to go to due to its exceptional food and quality. The wines by the glass are very good as in her sister restaurant, Frances. The pasta and duck where outstanding!! 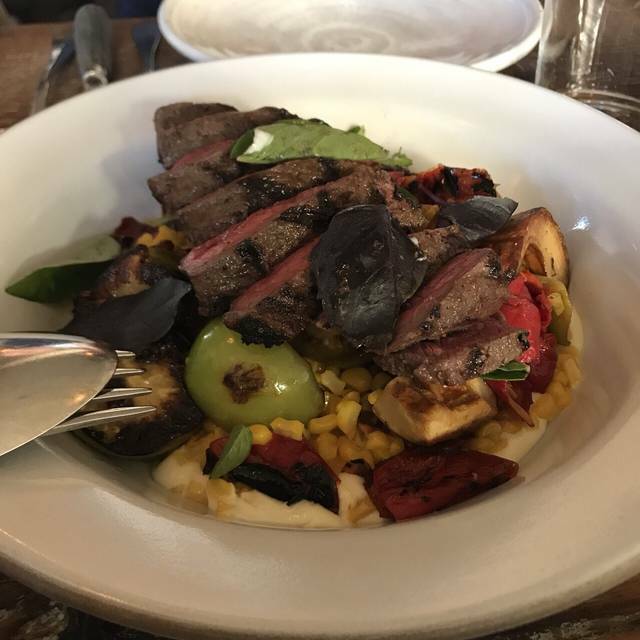 Food was great, service was excellent, and the portions were a lot more than I expected! One or two of the dishes were a bit salty for me but overall really enjoyed the meal. I had a wonderful time celebrating my birthday at Octavia. Wonderful creative dishes beautifully served. Best duck leg confit main course that I've ever had in my life. And I've had a few great Michelin experiences. Attentive friendly service. We had theater tickets and returned after the show for dessert and cappuchinos before they closed for the night. Whatever you do. Don’t try wine food pairing. 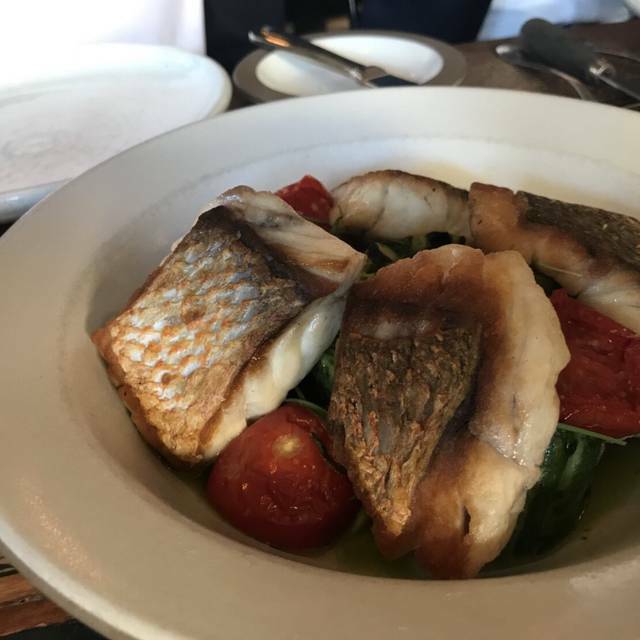 I always love dining at Octavia - the food is consistently delicious. The salad with snap beans was terrific. The wagyu beef was superb. We sat in the corner table looking out on the corner of Octavia and Bush -- great vantage point for people watching. The place was so noisy - too noisy for a fancy restaurant. It was packed to the rim and the service was therefore not personal :-(. They had no time for people. The food was good but not amazing for the price we paid. The tasting menu was a great value (70. Per). But the bonus was it was so delicious, innovative, and generous. The wine pairing was not as great of a value (even though we loved it) but we should have just ordered a bottle of eine If you’re trying to cut costs. The place is chic and fun! Enjoyable neighborhood place to eat. Quality was up to par or above. Sauces are delectable. Excellent from start to finish. No much else to say. Unique, farm to table dining experience in a quiet neighborhood.